Join the CleanEnergyAuthority Business Directory Today! Get Started: To begin you must register to create a user account. Soon after you will receive an email from us containing a confirmation link. 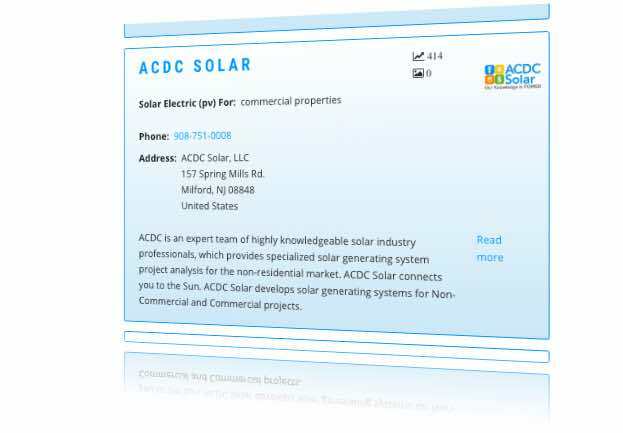 Click on that link and you will then be able to add your information for your business to the solar installers directory. Note: once you have created an account you may create multiple company listings by creating one for each state. This is advisable for companies with far-flung offices. While your California office company listing will suffice for attracting business in CA and NV, that might not work best for your office in NJ. You can create multiple office locations for a particular state as well. The most important part of creating a listing is listing which counties that you actually service so that your listing appears in location searches. Note: make sure your company is not already in the directory. If it is then you may be able to claim it by clicking the Claim This Business button found on the left-hand side of your detailed listing page. You will need to be logged in as a User in order to do this successfully. Cost: We charge $149 to add yourself to our directory if you are not already included. If you already have a listing the $149 annual fee also makes your listings VERIFIED which besides a moniker which also gives you priority in rankings in searches and state/city installer pages. If you are currently an active lead buying customer the fee is waived. If you have any other questions or problems, please don't hesitate to email us.